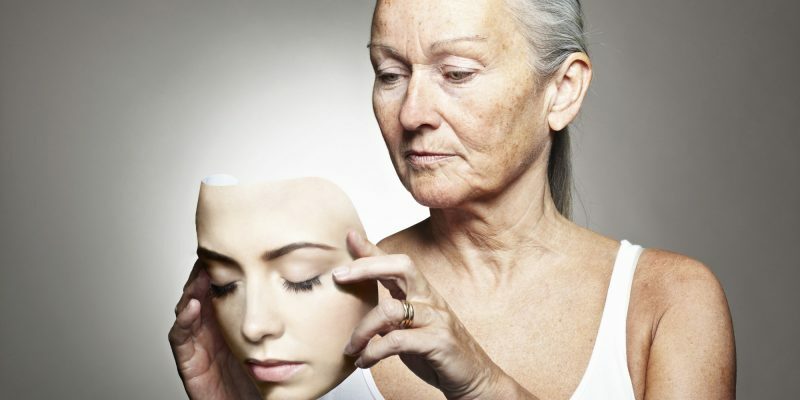 Preliminary results are in for this clinical study of 120 elderly subjects taking Elysium Health’s BASIS that was completed July 28. Although the full results are not yet published, Elysium Health just issued this press release stating that primary and secondary endpoints were met. 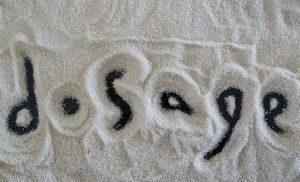 Healthy patients between 60 and 80 years of age were given placebo, or 2 different dosages of BASIS daily for 8 weeks. BASIS is a combination of 2 products, Nicotinamide Riboside (NR) and Pterostilbene. Note – this is not the same as NMN (Nicotinamide Mono-Nucleotide). Those given BASIS received either a single capsule containing 250 mg Nicotinamide Riboside (NR), and 50 mg Pterostilbene, or 2 capsules, containing 500 mg NR and 100 mg Pterostilbene. A previously published human study on NR supplemention effects on NAD+ levels used 100, 300, and 1,000mg dosages of NR. Results from the 2 experiments in that prior study seemed to indicate the most effective dosage of NR as being somewhere between the 300 and 1,000mg levels. Although details are scarce, the preliminary results from this most recent clinical study seem to agree with the prior study as to NR dosage effects on blood NAD+. We note the press release says the higher dosage with 500mg of NR showed 90% increase in NAD+ over baseline at 4 weeks. That 90% increase was not maintained throughout, but did show a “significant increase” throughout the study. This seems to indicate that the maximum sustainable NAD+ increase thru NR supplementation is achieved with 500 mg a day, and any dosage higher than 500mg would probably not be more effective. It’s quite possible that a dose lower than 500 mg that would achieve same increase in NAD+, but there is no clue from this study what that dose might be. Note that these are averages and that individuals exhibit a wide variety of response to NR supplementation. 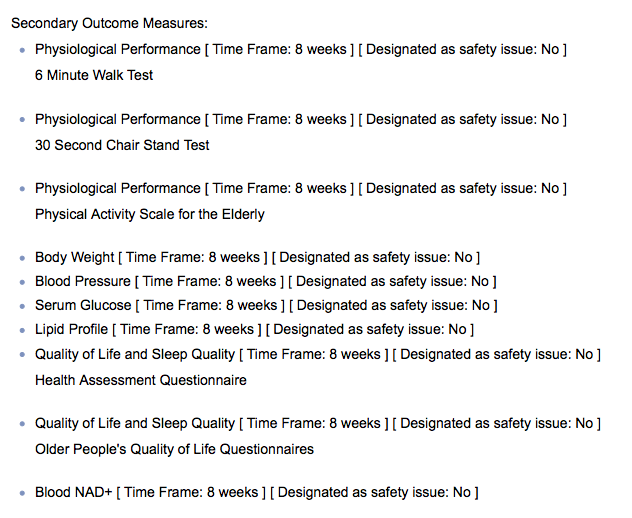 Interesting they include a lot of performance measurements – treadmill, chair standing, elderly activity testing. Bodyweight – 18-35kg per m2 – fairly limited upper weight is surprising – maybe limiting the potential for weight loss.